Kitties love to play with their owners. They love feathers attached to a stick which you can purchase at a pet store. They love little balls with bells inside or just plain plastic ones. I find just a rolled up piece of paper is one of their favorites!! One toy that my cats love the most is pictured below. I got them on Ebay several years ago & the love them. It is their most favorite! When looking for a scratch post try to find the tallest one the kitty can stretch his body to scratch. Also they love to scratch on sisal rope instead of carpet. This is good because it will also keep them from scratching on your carpet. 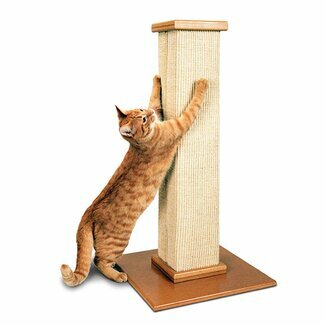 The older your kitten grows it is advisable to get a tower scratch post so they can climb & play. Cats love to climb & be high up so they can look over their surrounding!! 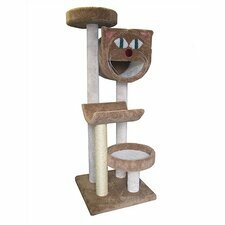 Below are just examples of scratch posts we use at our Cattery. I find they have the biggest selection & really reasonable prices!! !